Traditionally, seeding is thought of as a spring activity. Many restoration projects are completed in the summer and require fall seeding. There are some noteworthy advantages to fall seeding; however, you do have the option of seeding in the spring or in the fall. In southern states, seeding should be timed with the available moisture in the area. Cool season species germinate soon after seeding. Germination of warm season species generally occurs within three weeks of the soil temperature reaching 55° F.
Seed loss due to decay and wildlife consumption is minimized. Seed-to-soil contact should be accomplished by working the seed into the soil 1/4”-1/2” deep. 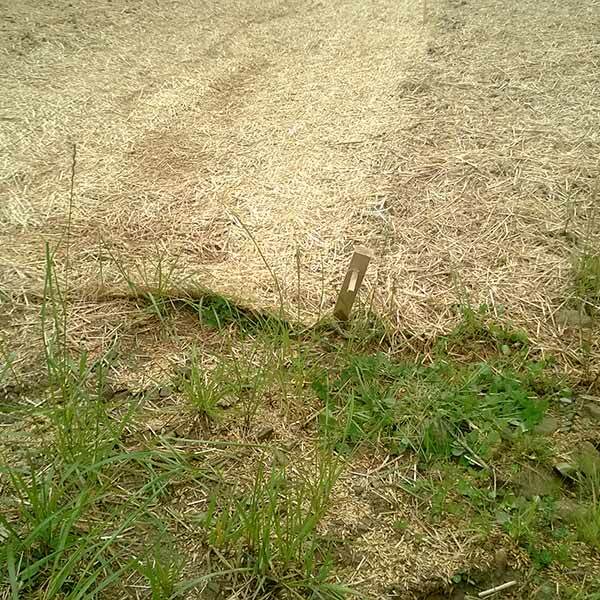 Seeding can be delayed until weed control is applied in order to improve establishment. Irrigation during periods of dry weather is necessary for proper germination. Light mulching is an important element of seeding to protect both the seed and soil and retain moisture. Native grass biomass seedings are generally done during the spring when soil temperature is near 55° F and rising. 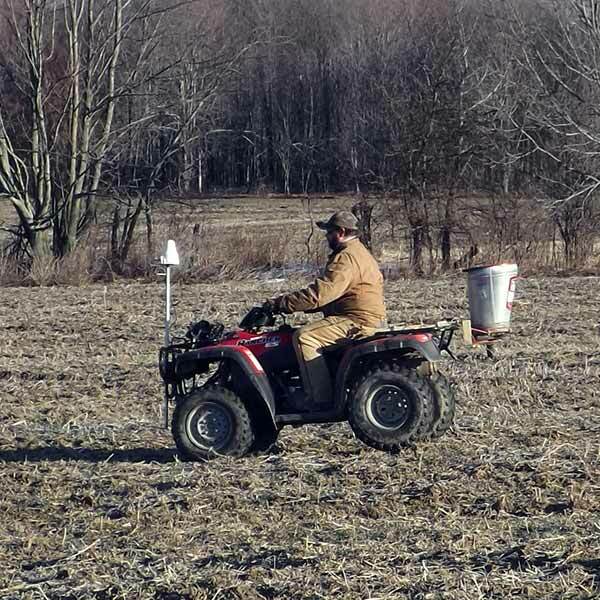 Frost seeding is the broadcasting of seed over frozen soil following the first killing frost. Good seed-to-soil contact occurs through natural moisture and frost action. Some natural stratification occurs; i.e., natural changes occur to the seed and seed coat during the winter that enhance germination. Germination will most likely not occur until spring. Some cool season species will establish during winter; however, warm season grasses and most forbs will germinate in the spring. Some seed can be lost to decay and wildlife consumption during the winter. Establishment may be hindered by weed competition that begins during the winter. Mulching is an important element of dormant seeding to protect both the seed and soil and retain moisture.